The Old Dominion football contest against WKU on Saturday, Oct. 31 has been set for a noon kick time on FSN, Conference USA released on Monday. ODU junior guard Trey Freeman (Virginia Beach, VA.) equaled his ODU career high of 27 points to lead the Monarchs to a 75-52 Conference USA victory over Western Kentucky. Former Western Kentucky volunteer assistant Casey Dykes has been named the newest full-time assistant coach for VMI baseball. In addition, pitching coach Travis Beazley has been promoted to associate head coach. 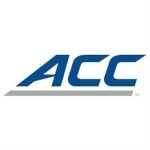 The Atlantic Coast Conference has issued a one game suspension to Louisville’s Montrezl Harrell after he received a flagrant foul two during the Cardinals’ game against Western Kentucky on Saturday. ODU football coach Bobby Wilder talks with reporters on Monday. ODU (3-6, 1-4 Conference USA) hosts Florida International (3-6, 2-3 C-USA) on Saturday at 3;30 p.m.
Taylor Heinicke passed for 471 yards and Ray Lawry rushed for four touchdowns, but Juwan Gardner intercepted a pass that slipped out of Heinicke’s hands and returned it 94 yards as Western Kentucky hung on to defeat Old Dominion University football 66-51 Saturday afternoon at Smith Stadium. ODU football travels to Western Kentucky to take on the Hilltoppers at 4 p.m. EST on Saturday, Oct. 25. ODU football coach Bobby Wilder talks with reporters on Monday. ODU (3-1) takes on Middle Tennessee State (2-2) on Friday night.